This is the time of year when nature’s colors in this area usually go through a shift. Normally, the bright colors of summer’s flowers begin to disappear and are replaced by the autumnal colors of changing leaves. But, the warmer and wetter weather through September and October has allowed the green leaves to stick around. As a result, autumnal colors will be reduced and more subdued – green today, gone tomorrow. The only plants that really hang on and continue to have flowers are hardy pansies, which can bloom all winter long, and chrysanthemums, which are primarily autumn flowers. 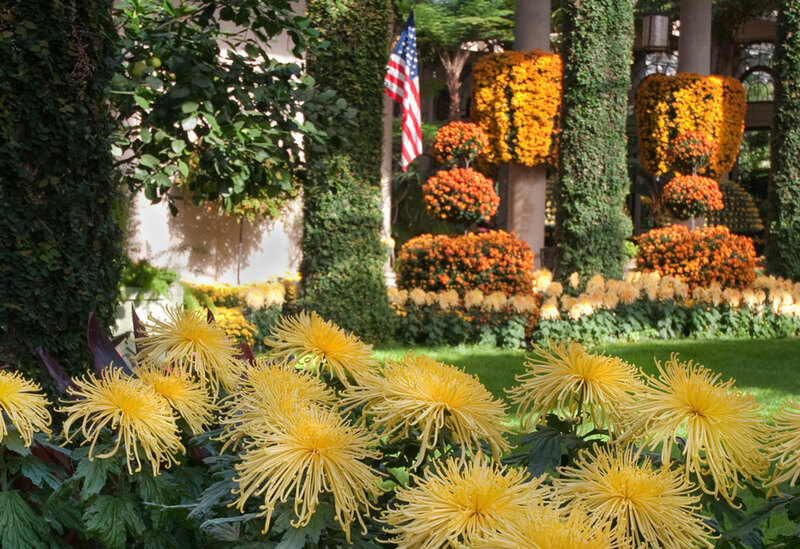 Longwood Gardens (Route 1, Kennett Square, 610-388-1000, www.longwoodgardens.org) celebrates the popular autumnal flower with its annual Chrysanthemum Festival every year in October and November. 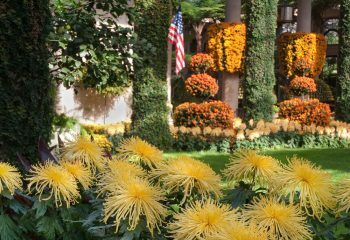 The 37th Annual Chrysanthemum Festival, which runs now through November 19, is a top-flight exhibit featuring more than 17,000 colorful, blooming chrysanthemums in Longwood’s huge conservatory. The Thousand Bloom (known in Japan as Ozukuri) is the most exacting and difficult of all the Chrysanthemum training styles. It derives its name for the ambitious goal of a single chrysanthemum plant producing 1,437 perfect blooms. On October 27, it will be time for “Opening Night” for the 2018-2019 season of the Kennett Symphony of Chester County (610-444-6363, http://www.kennettsymphony.org). 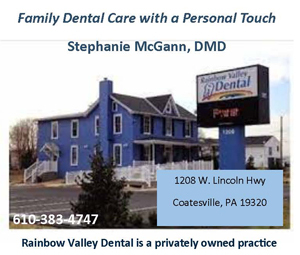 The show, which will get underway at 7:30 p.m., is being held at Unionville High School on Route 82 in Kennett Square. The concert will bring together the Kennett Symphony, the Brandywine Valley Chorale, the Chester County Choral Society, members of the Unionville High School Chamber Choir and soloists from the Academy of Vocal Arts in Philadelphia for a performance of Beethoven’s greatest musical achievement. Showcased individual performers will be: Renee Richardson, Soprano; Pascale Spinney, Mezzo-soprano; Matthew White, Tenor; and Eric Delagrange, Bass. Adult ticket prices are $58, $50 and $35 day of concert — $5 cheaper in advance — with student (age 18 and under) tickets priced at $10. From October 26-28, the Brandywine Ballet will present a show titled “Balanchine, Barber & Brandywine” at West Chester University’s Emilie K. Asplundh Hall (700 South High Street, West Chester, 610-696-2711, www.brandywineballet.org). Featured in this repertoire production is Nancy Page’s “Voices,” set primarily to the music of Samuel Barber, a famous American musician and composer born in West Chester in 1910. A musical prodigy, Barber later became famous for his internationally celebrated composition “Adagio for Strings.” This piece serves as the centerfold of “Voices,” which features a heroine torn between angels and devils of looming insanity brought on by the inner grappling of old communal norms and a newfound expression of freedom. The other piece featured in “Voices” is “Northern Lights” by Ola Gjeilo, a Norwegian composer and pianist living in the United States. Meredith Rainey presents two new works choreographed on the dancers of Brandywine Ballet. “PMG” is an interpretation of the intricate “Prelude,” “Menuets 1 & 2,” and “Gigue” from Johann Sebastian Bach’s “Cello Suite #1 in G.” With musical concepts such as point-counterpoint, canon, fugue, rhythm, and melody, Rainey’s choreography has the dancers transverse the stage with a youthful speed, grace, and agility. His second work, “Birdland,” was inspired by the characteristics, behaviors, and movements of birds. It draws parallels between humanity and our fine-feathered friends set to the music of Oliver Davis. The first movement is a journey through undefined pathways of light and movement. The second begins a clear view of angles and lines set by the movement and formations. Early incorporates simple gestures and improvisational elements to weave together the third and fourth movements of the piece. Performances are scheduled for October 26 at 10 a.m., October 27 at 7 p.m., and October 28 at 2 p.m. Ticket prices are $25, $32 and $42. 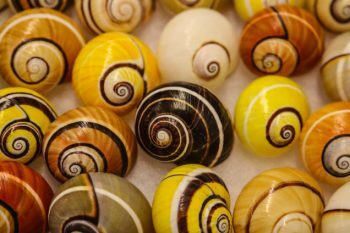 On October 27 and 28, the Academy of Natural Sciences of Drexel University (1900 Benjamin Franklin Parkway, Philadelphia, 215-299-1000, www.ansp.org) is hosting its annual Philadelphia Shell Show. Billed as “The largest show of its kind in the Northeast,” the event features competitive displays by collectors and amateur scientists. Thousands of shells will be on display and for sale at the annual Philadelphia Shell Show, October 27–28, 2018, at the Academy of Natural Sciences of Drexel University. The largest of its kind in the Northeast, the show features beautiful, competitive displays on mollusks by collectors, amateur scientists, and artists. Visitors will have the chance to shop an international shell market packed with jewelry, shells, books, and more. Members of the Philadelphia Shell Club will be on hand to answer questions and identify shells you’ve collected during your travels. It also provides visitors with the opportunity to participate in mollusk dissections, make crafts, shop an international shell market, and go behind the scenes to see some of the 10 million specimens in the Academy’s Malacology Collection (which is the third largest in the world). Tickets for the event are $21.95 for adults, $18.95 for seniors (age 65-plus) and $17.95 for children (ages 3–13). On October 26, Mütter Museum of The College of Physicians of Philadelphia (19 South 22nd Street, Philadelphia, http://muttermuseum.org/) will host its “Fourth Annual Annual Mischief at the Mütter + Costume Contest” – an event that allows guests to enjoy drinks from an open bar and view the museum’s scientific and frequently grotesque collections – including a variety of body parts. Visitors can enjoy the Halloween beer garden which includes full access to the Mütter Museum, DJ Brickhouse, specialty kegs in the garden, and unlimited snacks with your ticket. Costumes strongly encouraged! This year will mark the First Annual Mütter Costume Contest — with fabulous Mütter prizes. There will be special surprise performances throughout the evening and guests will have a chance to sign up for a tarot reading with Queen of Wands tarot. This event is “21+ only.” Tickets are $50. At the event, which runs from 6:30-11 p.m., participants can experience all the thrills of the zip line and ropes courses with the added challenge of darkness. Adventurers will navigate through a section of the Treetop Zoofari course equipped with a headlamp. Young adventurers can also experience the night time fun on the zoo’s Cub Climb course. Stoudts Brewery (2800 North Reading Road, Adamstown, 717-484-4386, http://stoudts.com) is hosting “Dogtoberfest” on October 28. Visitors to the annual event, which is scheduled to run from 2-5 p.m., are invited to bring along their dogs to the brewery site. “Dogtoberfest” is billed as a “German-themed dog-friendly family event. The event features live German music, Stoudts award-winning lagers and ales, locally-produced German-style sausages and other delicious German food. Also featured will be German food with vegan and gluten-free options. There will be a festive dog parade. Costumes are encouraged for both pets and their owners and prizes will be awarded to those with the best costumes. Admission is $6 for the event, which is held as a benefit for Humane PA and local animal support organizations. A popular area autumn event is “Hayrides at Hagley” at Hagley Museum and Library (Buck Road East entrance via Route 100, Wilmington, Delaware, 302-658-2400,www.hagley.org). This year, the hayrides will take place on October 27 and 28 from 11:30 a.m.-4 p.m. Participants will be able to take a hayride along the Brandywine to experience the beautiful fall foliage in the Powder Yard. Guests can create fall-themed crafts, see a gunpowder explosion, a roll mill in action, and more. Upon arrival, reserve your hayride at the Visitor Center. Come early to make sure you get a spot because rides are filled on a first-come, first-served basis. Family-friendly activities include crafts such as needle felting, leaf animals, and corn husk dolls. Kids can explore the Powder Yards with a scavenger hunt during their Hayride. A guide will be on-hand to answer questions during the Hayride. Another event on October 27 is “Science Saturday – Catapults and Pom-kins,” which will run from 1-4 p.m. in the Visitor Center. Visitors of all ages are invited to discover solutions to science and engineering challenges. This is a drop-in activity and people can join the fun at any time from 1-4 p.m. Admission is $15 for adults, $11 for seniors (age 62 and up), and $6 for children (ages 6-14). Penns Woods Winery (124 Beaver Valley Road, Chadds Ford, 610-459-0808, www.pennswoodswinery.com) is presenting a special event this year called “Painting in Pumpkinland” on October 27 and 28 from noon-5 p.m. each day. Participants will be able to choose their pumpkins from the Penns Woods Pumpkin Patch and decorate them — paint them, sticker them, glitter them and more. The cost is $15 -18/per pumpkin (depending on size). Price includes pumpkin and all decorating materials. Wine by the glass and bottle will be available for all adults over 21 and there will be live music and food trucks. Visitors can take family photos in the winery’s pumpkin patch with the winery’s historic barn in the background. There will also be other fun Halloween activities for children. Live music will be performed by Jason Ager on Saturday and “TBD” on Sunday. The “Great Pumpkin Express Trains” (West Chester Railroad, Market Street Station, West Chester, 610-430-2233, www.westchesterrr.net) are scheduled for October 27, and 28. The Wilmington & Western Railroad (2201 Newport Gap Pike, Wilmington, DE, 302-998-1930, www.wwrr.com) is running its “Autumn Leaf Special” with trains on October 27 and November 3 and 4. Guests are invited to join the winemakers to celebrate another successful harvest season at Galer Estate. They we will be featuring their Cabernet Franc along with displays by a variety of local artisans. Visitors can enjoy free samples of local fare and award-winning wine from 2-6 p.m.
Galer Estate will also present a concert featuring live music by Bill Hake on October 27 from 5-7 p.m. This fundraising event will feature self-guided tours, educational games and activities for children, face-painting, live music and more! Tickets for the event, which runs from 11 a.m.-2 p.m., are $10 for adults with children (ages 11 and under) admitted free. The Wolf Sanctuary also offers “Full Moon Tours” once a month on the closest Saturday to the full moon. This event allows participants to create their own experiences. Instead of following a tour guide from pack to pack at a regulated pace that fits within a 45-minute time line, you get to go at your own pace from pack to pack. With this tour, you move at whatever speed you find comfortable. If you get tired, you can go over and sit next to a roaring bond fire (weather permitting) and just relax. This is it – the last weekend prior to Halloween, which is officially celebrated on October 31. The weekend’s activities calendar obviously is crammed with Halloween activities. On October 28, there will be a Family Pumpkin Carve at Brandywine Ace Pet & Farm (1150 Pocopson Road, West Chester, www.acehardware.com/store-details/15574). Guests are invited to join in at the annual Family Pumpkin Carve. Participants need to bring their own pumpkin and carving tools. The venue will supply the music, apple cider donuts and cider — and will clean up the mess. The free event will run from 4-5:30 p.m. on Sunday afternoon. Chaddsford Winery (Route 1, Chadds Ford, 610-388-6221, www.chaddsford.com) is presenting its “Adult Trick or Treat” now through October 28. Tour Times Available at 11:30 a.m. and 1, 2:30 and 4 p.m.
“Pumpkin Patch” will offer Pumpkin Cheesecake with warm Spiced Apple + Sugar Daddy Stirrer and Baked Pumpkin Ale by Lancaster Brewing Company. “Grapeyard” will feature Mozzarella, Genoa, and Grilled-Grape Kabob with 2016 Pinot Grigio and Niagara, and “Dark Dungeon” will have KIND Bars and Halloween Peeps with wine choices — The Red Standard, The White Standard and Sunset Blush. On October 28, Paradocx Vineyard (1833 Flint Hill Road, Landenberg, 610-444-9003, www.paradocx.com) is presenting its “Hallo-Wine Party” from 5-9 p.m. The popular annual event will feature wine, local beers, a bonfire, prizes for the top three costumes and live music by Shot in the Dark. At the family-friendly event which will run from 11 a.m.-3 p.m., participants can join in the “Junior Ranger Spooky Scavenger Hunt in the Cemetery” and maybe even meet some of the graveyard’s oldest residents. From 1-3 p.m., there will be a costume contest with attractive prizes in thre categories – Colonial, World War I, and General. There wil also be 18th-century game play and youngsters will be able to make their own 18th-century craft to take home. On October 26, Rock Ford Plantation (881 Rockford Rd., Lancaster, 717-392-7223, www.rockfordplantation.org) will present “Tales from the Caretakers: The Haunted History of Rock Ford Plantation.” This play was first presented in 2013 and was favorably received by regional audiences. After five years, the “Caretakers” are returning to their former home at Rock Ford. On October 28, Laurel Hill Cemetery (3822 Ridge Avenue, Philadelphia, 215-228-8200, www.thelaurelhillcemetery.org) is hosting “Fall Family Day: Halloween Picnic and Parade” from 1-3 p.m. This Sunday, visitors can spend an autumn afternoon exploring the many wonders and mysteries of Laurel Hill Cemetery while celebrating Halloween. Fall fun for the family at Laurel Hill will thrill and chill both the young and old. The cemetery’s primary location overlooking the Schuylkill River will offer visitors majestic views of the colorful fall foliage and vibrant landscape along Kelly Drive. Activities will include a pumpkin patch, readings from the Storybook Fairy, crafts and hayrides throughout the grounds. Guests can feast on festive snacks, available for purchase or bring their own picnics. Attendees are advised to wear comfortable clothes and shoes, and children are encouraged to show off their best Halloween costumes. 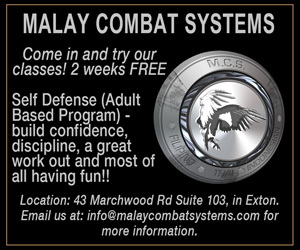 This program is recommended for families with children ages 4-12. The cost is $5 per person general admission. Tickets can be purchased at the door or in advance online. 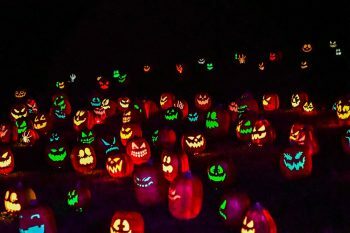 Cherry Crest Adventure Farm in Ronks (150 Cherry Hill Road, Ronks, 717-687-6843, www.cherrycrestfarm.com) is presenting its popular annual “Flashlight Maze” every Friday and Saturday night through November 4. Cherry Crest Adventure Farm has reserved several weekends during the autumn months for Flashlight Maze. The Pennsylvania Renaissance Faire (Pennsylvania Renaissance Faire Shire, Mount Hope Estate and Winery grounds, Route 72, Cornwall, 717-665-7021, www.parenfaire.com) is hosting its “Halloween Daze & Spooky Knights III” event on October 27 and 28. It will also be a “Royal Dog Days” weekend. From 11 a.m. until 8 p.m. each day, the huge faire will celebrate Halloween with spooky creatures of every variety haunting the Shire. Visitors can join the good Shirefolk of Mount Hope for a grand All Hallows Eve celebration, complete with tricks and treats for children of all ages. On October 27, Fort Mifflin (Fort Mifflin and Hog Island roads, Philadelphia, 215-685-4167, http://fortmifflin.us) is hosting “A Mud Island Halloween” starting at 5 p.m.
For one night only, Fort Mifflin will be open to the public later than usual for visitors to explore the site during the Halloween season. Visitors can get their fortune told by an experienced occultist, spend some time watching old horror movies in the Casemate Cinema, summon the spirits with the Ouija board, go on a ghost tour or a paranormal investigation with experienced guides or just explore the Fort. Activities run from 5-10 p.m. Tickets are $25 for adults and $15 for children. “Candlelight Ghost Tours at Fort Mifflin” are scheduled for October 31. “Boo at the Zoo” (Elmwood Park Zoo, Harding Boulevard, Norristown, www.elmwoodparkzoo.org) will be held October 27 and 28 from noon-3 p.m. each day. Ghost Tour of Philadelphia (215-413-1997, www.ghosttour.com), Ghost Tour of Lancaster (717-687-6687, www.ghosttour.com) and Ghost Tour of Strasburg (717-687-6687,www.ghosttour.com) operate through November and offer an eerily entertaining evening of true ghost stories and real haunted houses. Shocktoberfest (94 Park Avenue, Sinking Spring, 610-375-7273, shocktoberfest.com) has transformed into “Zombie World Theme Park” where, for the first time anywhere in the world, guests can view an array of natural and genetically engineered Zombies in a safe and controlled habitat. Ticket prices range from $20-$70. Delaware Children’s Museum (550 Justison Street, Wilmington, Delaware, delawarechildrensmuseum.org) is hosting a special activity called “Frank-N-Slime” on October 26. The “spooky sensory event,” which is slated to run from 5-8 p.m., showcases various programming throughout the museum featuring multiple kinds of slime, magical potion exploration, dry ice experiments, and “monster sensory activities.” Kids will also be able to enjoy popcorn, apples and treat bag giveaways. General Admission tickets are $8.75 with free admission for children 12 months. The museum’s free parking lot is directly across the street from the restaurants’ parking lots. The Garden State Discovery Museum (2040 Springdale Road, Cherry Hill, New Jersey, 856-424-1233, www.discoverymuseum.com) is holding its Fifth Annual Halloween Hootenanny on October 26 from 6:30-8:30 p.m. This Halloween Event, which has been designed especially for young children, is an evening of happily haunted surprises. The night will be filled with one-of-a-kind Discovery Museum fun including spooky crafts, inside and outside trick-or-treating, activities, music and fun for all. Local families and businesses will be lined up and down the Discovery Museum parking lot with their Halloween themed cars and decorated trunks for families to go from trunk-to-trunk to get Halloween treats. Kids will also be able to bounce the night away in the moon bounce. Inside, the Discovery Museum has been decorated in its Halloween best. On the Museum floor, each of the exhibits is decked out in a happily haunted manner. Kids can trick-or-treat from exhibit to exhibit and they will get anything from candy to Halloween tricks and goodies. Admission to Halloween Hootenanny’s inside and outside attractions is $20 for children and $5 for adults. The Colebrookdale Railroad (South Washington Street, Boyertown, www.dynamicticketsolutions.com) is running its “Eerie Limited” excursion every night now through October 31. The train ride highlights Boyertown as “one of the most haunted small towns in America.” This evening train explores the stories of local hauntings, historic incidents, and amusing and astounding happenings along the Colebrookdale Railroad. Tickets are $30 for adults, $23 for children (ages 2-12), $25 for seniors (65 and older) and $5 for toddlers (under 2; must be held; no seat). The Strasburg Rail Road (Route 741, Strasburg, 717-687-7522, www.strasburgrailroad.com) is running its “Strasburg Spooktacular” on October 28 at 11 a.m., noon, 1, 2, 3 and 4 p.m. Guests can enjoy a family-friendly Halloween celebration aboard America’s oldest short line railroad, as they travel to the rail line’s picturesque Groff’s Grove. Tickets are $19 for adults, $13 for children and $4 for infants. Guests will be able to visit the graves of some of the most wicked women buried at The Woodlands with Curio Theater Company leading the Halloween Tours again this year. The actors will delve into what it meant to be a wicked woman in Victorian times. Along the way, visitors will learn what it really means to be spooked. A one-hour long guided tour will leave from the front gates at 7 p.m. Tickets are $20 per person. The 53rd Annual Delaware County Halloween Parade will be held on October 28 starting at 1 p.m. The popular annual event allows everyone to explore their inner kid with a variety of family-friendly freaky events and Halloween horrors. The parade will feature floats, clowns, marching units, scouts, antique cars, bands, mascots, homecoming queens, cheerleaders and other groups. The family fun event will be held along State Street in downtown Media. Dutch Wonderland Family Amusement Park (2249 Route 30 East, Lancaster, 866-386-2389, www.dutchwonderland.com) is hosting its “Happy Hauntings at Dutch Wonderland” now through October 29. It features more than 30 themed rides and family-friendly attractions, a trip through the Trick-or-Treat Trail on Exploration Island, and trick-or-treat with 20 lifelike dinosaurs. The event runs from 2-9 p.m. in Saturday and 2-8 p.m. on Sunday. Tickets are $33.99. Children age two and under are admitted free. Winterthur Museum, Garden & Library (Route 52, Wilmington, Delaware, 800-448-3883, www.winterthur.org) is hosting “Ghost Tales & Spirits Night at Winterthur” from 6:30 -9 p.m. on October 27. Winterthur will have fun and eerie adult crafts to fill the evening along with wine, beer, and food available for purchase as well as non-alcoholic drinks. Poe performance tickets are $25. The outdoor event will be held rain or shine. Visitors should come prepared to walk and be outside for part of the evening. Poe performance is at 8:15 pm with seating opening 30 minutes prior to show start time. Not suitable for ages 13 and under. 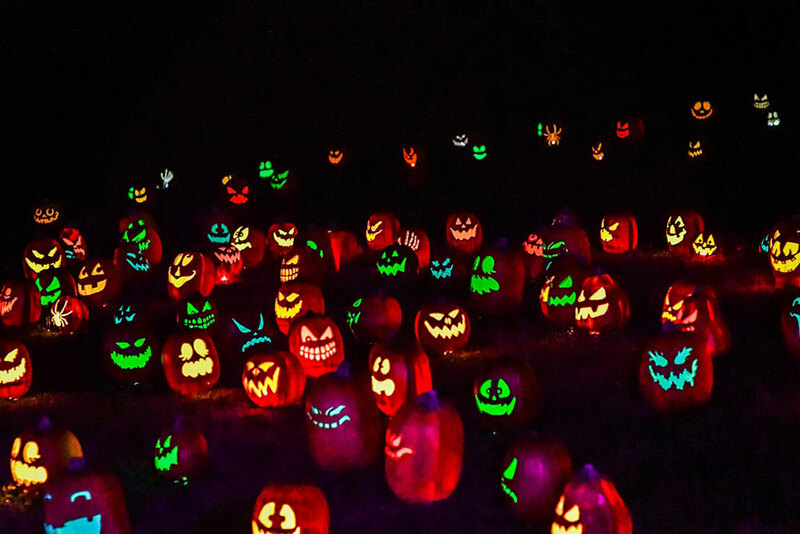 The Paws Discovery Farm (1105 Hainesport-Mount Laurel Rod, Mount Laurel, 856-778-8795, https://www.pawsdiscoveryfarm.com) will host its “Hallo-Teens” event on October 27. At the event, which runs from 7-10 p.m., things will be a bit scary, a lot hairy, and a little creepy at Paws Discovery Farm. The venue invites teens (ages 13-17) to enter the haunted trails, visit the ghoulish graveyard and touch some creepy crawly critters. Visitors can end the night by watching a scary movie on the Farm at 8 p.m.
On October 31, Paws Discovery Farm is hosting a “Sensory Friendly Halloween.” From 11 a.m.-1 p.m., the farm features a sensory-friendly story time, Halloween crafts and trick-or-treating on the Farm. Visitors are encouraged to come dressed in costume. East Passyunk Avenue Business Improvement District (www.visiteastpassyunk.com) presents a double dose of spooktacular fun with free activities for the kids, adults and even dogs. The Seventh Annual East Passyunk “Fall Fest and Spooky Saturday” will be held on October 27 from 11 a.m.-4 p.m. The free family event will feature a child and dog costume contest, live music, pumpkin painting, free treat bags for the first 400 children, street food and seasonal cocktails, maker and craft fair around the Singing Fountain, trick or treating along East Passyunk and a DJ and dance party. Most activities will be held at the Singing Fountain (East Passyunk and Tasker), with select activities to be held at Mifflin Triangle (East Passyunk and Mifflin) and a scarecrow scavenger hunt all along the Avenue. South Street Headhouse District (www.southstreet.com) will host its annual Halloween festivities on October 27. “PumpkinFest” and South Street trick-or-treating will be held from noon-5 p.m. at the Historic Headhouse Shambles. PumpkinFest highlights for this year include: free neighborhood trick-or-treating at dozens of businesses, performances from Philadelphia School of Circus Arts, costume contests, magic with Mystique the Magician, pumpkin putt-putt golf, pumpkin decorating, hay wagon rides, pumpkin pie eating contest, straw hay bale maze, seasonal bites and holiday inspired craft vendors and a winter coat charity drive. The Landis Valley Museum (2451 Kissel Hill Road, Lancaster, 717-569-0401, www.landisvalleymuseum.org) is hosting its annual “Haunted Landis Valley Tea & Tour” on October 27. The Landis Brothers loved to pull Halloween pranks and tell ghost stories and visitors can celebrate in their spirit at this fun event. The day includes Pennsylvania German spooky stories, interactive activities, wagon rides, a hot cider reception in the Firehouse, and a tea luncheon in the Landis Valley House Hotel with scones, soup, sandwiches, and a dessert. Doors open at 11 a.m. Festivities begin at 11:30 a.m. and end at 3:30 p.m. Tickets are $45 for adults and $35 for children (12 and under). On October 27, it will be time for the “Haunted Museum” at the Ware Museum (North Museum of Nature and Science, 400 College Avenue, Lancaster, northmuseum.org). The event features a spooktacular evening of thrills, chills, and good old-fashioned fun. Afterhours at the North Museum is Halloween fun for all. Visitors can sit by the campfire in the planetarium and listen to some stories including local lore and Native American tales about the stars. 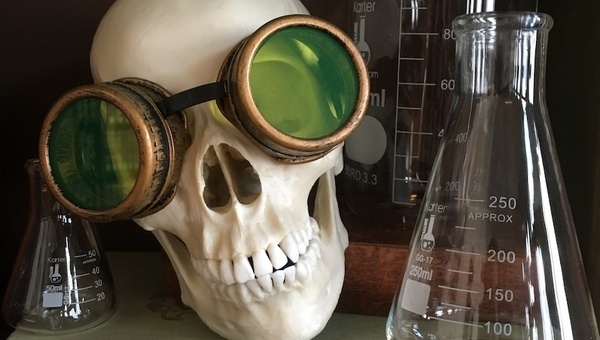 Guests can take a flashlight scavenger hunt throughout the Museum and find some creepy, crawly, and uncanny collections along the way and stop by the Mad Scientist’s Lab and learn how to make some terrifyingly fantastic potions. The event will run form 6-9 p.m. Tickets are $13 for adults, $12 for seniors (65 and older) and juniors (ages 3-17). “Hockessin Haunted House – The Manleyville Horror” will be held on October 27 from 7-9 p.m. at the Manleyville House (19 Nathalie Drive, Village of Manley, Hockessin, Delaware, hockessinhauntedhouse.org). Guests will be escorted by a private guide through three floors of rooms and passageways of the Manleyville house where they will encounter the spirits and demons that reside within. Participants will be able to visit the parlor, the library, the kitchen, a bedroom, and more. They can also venture poolside and see a witch’s spell, experience paranormal activity, meet a mad undertaker in the embalming room, and participate in a séance. Tags:Brandywine Ballet · Featured · Kennett Symphony · Mumfest Longwood · Mutter Museum · shell show · Stoudts. Glow.